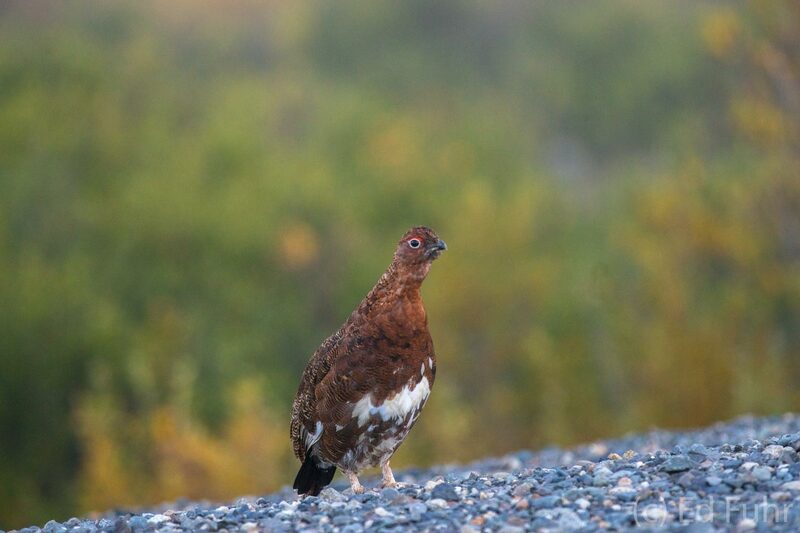 Willow Ptarmigans can often be found along the Park Road. In winter they turn white to blend better into their surroundings. While they are mostly on the ground they can fly short distances to avoid foxes, eagles and other predators. . Photo © copyright by Ed Fuhr.